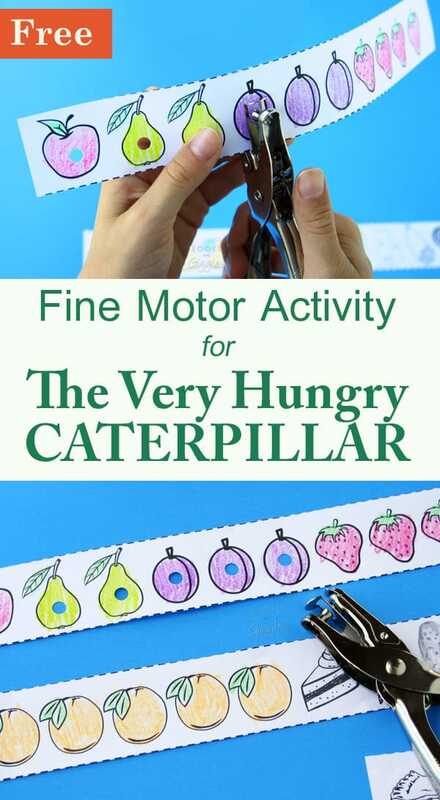 This easy-prep fine motor activity goes with Eric Carle’s classic children’s book The Very Hungry Caterpillar. 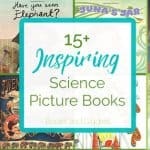 I ought to be tired of The Very Hungry Caterpillar (affiliate) by now, but I’m not. With three kids, I can’t tell you how many times I’ve read it. Hundreds, surely. Yet, I still love it. Do you? I also should be well past any excitement about hole punches, yet I still feel strangely satisfied using one. Is that weird? My kids share my inclination to make small holes in paper. The twins were eager to test out this Hungry Caterpillar activity. Isabella punched every item, and then went back and punched some of them again. I like that our hole punch has a good finger guard, so I don’t feel like I have to monitor her too closely with it. 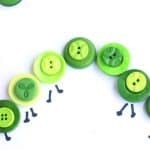 Did you know that Eric Carle got the idea for The Very Hungry Caterpillar while using a hole punch? According to Wikipedia, he originally planned a book about a bookworm, rather than a caterpillar! I can’t imagine the story without the beautiful butterfly at the end. 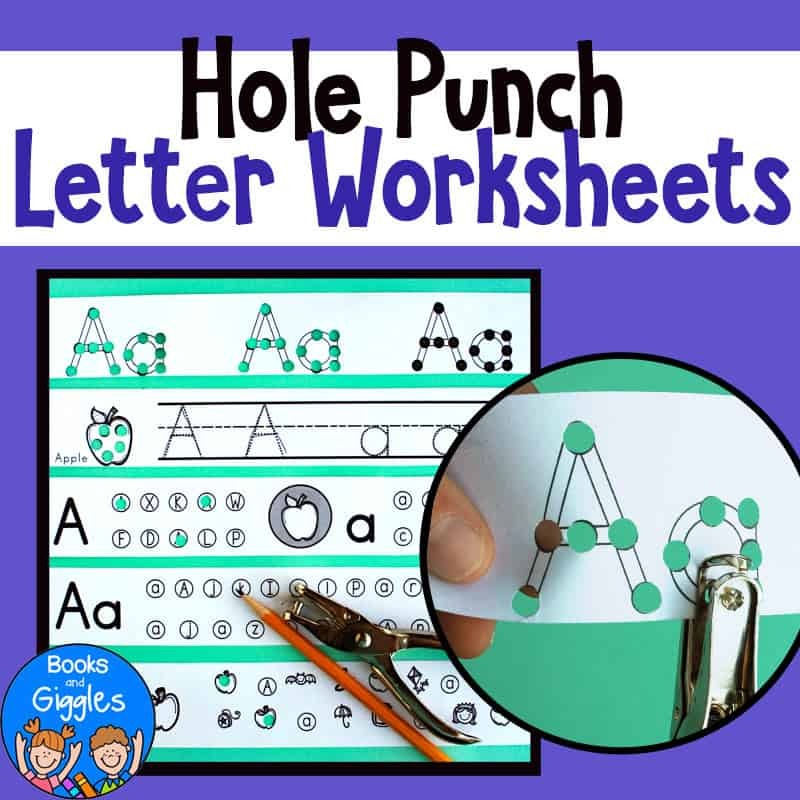 The free printable hole punching strips are easy to use. 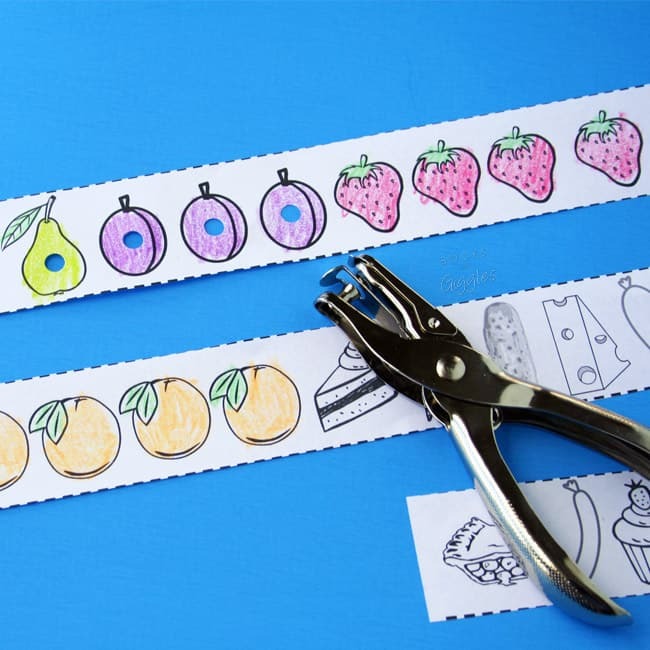 Just cut them on the dotted lines, color the food items, and hole punch each one in the order that they appear in the story. You can guide the child to work from left to right as a subtle pre-reading lesson. You can also encourage them to retell the story as they punch the holes. They’ll be too busy having fun to notice that they’re working on fine motor skills and pre-reading skills. Are You Working on Letters Too? We are painting with different stamping methods to make caterpillars that look like the one in the book. I couldn’t find the download for this activity. I just tested it, and it worked for me. Maybe check your spam/bulk folder? Let me know if you continue to have trouble. I have made an apron for felt story telling and at the bottom it opens up to be a beautiful butterfly. The children will have access to felt story telling pieces in the library center. Wow! That sounds like an amazing way to share The Very Hungry Caterpillar! There are so many creative ways to extend the story, which I guess is part of what’s made it so popular with teachers and librarians. 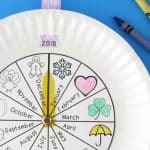 How do we download the free printable? Very cute, but I can’t find the “download now” button. Please help. Please tell me how to download the hole punch activity. I love it. Thank you for such a wonderful activity. 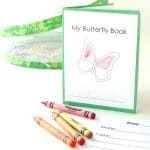 I will be doing the caterpillar activity with my kindergarten class. Fun! Sounds like a lot of hole punches… do you have a small class, or will you put it in a center? 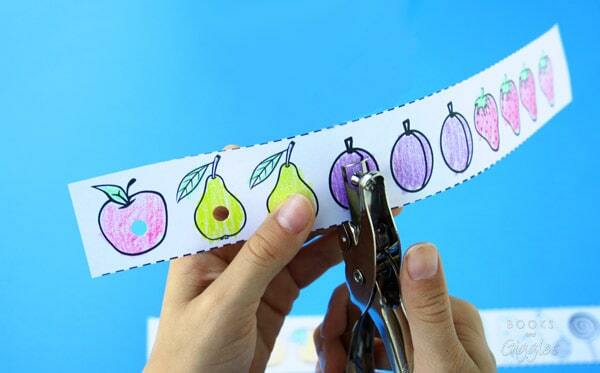 love the hole punch idea for the very hungry caterpillar! Can’t wait to use this resource! 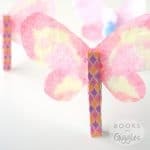 I would love this for my very hungry caterpillar theme! Thank you!